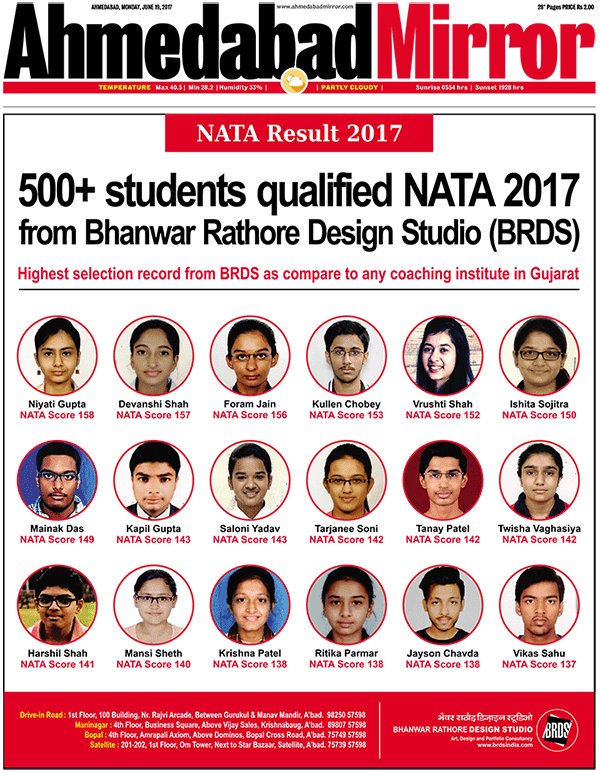 NATA is an entrance exam for architecture conducted at National Level by National Institute of Advanced Studies in Architecture (NIASA). The exam is conducted to select the students for 5 years B. Arch Course in various colleges across India. NATA is more like an eligibility test for admission into the Architecture Course. NATA measures students’ artistic understanding, critical thinking, insight, observation, and their architectural awareness. It is a mandatory examination for students to secure seats in B. Arch degree course in all government, private and deemed colleges. Candidates aspiring to apply for B. Arch should have passed/appearing in 10+2 or equivalent examination with minimum 50 % marks in aggregate. It is one of the leading NATA coaching classes providing entrance-coaching by the experienced teachers. Here, students are provided training for entrance exams of Architecture through classroom and online coaching classes. The institute provides crash course for NATA entrance exam, helping students to learn the skill set and acquire knowledge required to clear the exam successfully. With several years of experience in the Architectural industry, J. D. Classes is one of the top coaching centres that offer entrance-coaching for NATA. It has eminent professionals who are capable of providing the students with the best coaching. Students are given crash course making them proficient enough to crack the NATA exam. I.C.R. Education Services is another foremost centre for NATA coaching in Ahmedabad. With years of experience, it provides coaching for national level architecture and design competitive exam like NATA, CEPT, JEE B. Arch, UCEED, CEED, NIFT, NID, GATE, SOFT, PEARL exam. It provides classroom quality coaching, portfolio preparation and studio test guidance to the students. NATA coaching is very essential for students who are aspiring to get admission in a topmost college to pursue B. Arch. NATA entrance exam is a national level exam and clearing it is not an easy task. The test covers aptitude skills, drawing perfection, observation skills, critical thinking ability, aesthetic sensitivity, sense of proportion and various other attributes of the students. In order to be perfect in all these areas, it is important for students to take up architecture entrance coaching. 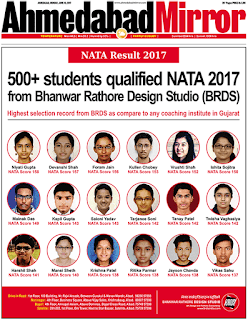 • Joining the best NATA coaching in Ahmedabad, students will get complete idea regarding what they are required to prepare for the exam. • Students can avail coaching from reputed professionals experienced in the field and thus learn all the concepts related to the subject. • NATA coaching classes also help students to learn the aspects like time management, the right way to frame answers, the technique of handling tough questions etc.